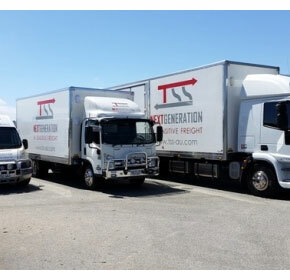 TSS Australasia Pty Ltd (TSS) is a leading provider of sensitive freight transport, warehousing and logistics. Sensitive freight means different things to different people. At TSS we recognise and understand this, and can safely move anything that is valuable, fragile, or simply needs to be handled with care. The founding directors of TSS recognised the need for a dedicated, focused and innovative sensitive freight transportation company that understood a customer's needs and was structured to be able to not only meet but exceed those needs by providing a holistic, flexible and cost effective solution to their transport requirements. An intrinsic aspect of the TSS approach is to provide our customers with a "Turn Key" solution that affords them the comfort of knowing that we can pick up, store, transport and position any sensitive freight so that it is in place and ready for technical activation. Supporting our transport business is a sophisticated Information Technology infrastructure that provides our customers with complete transparency throughout the entire delivery cycle. In short, you know exactly where your freight is 24 hours a day, 7 days a week. At TSS we use a true partnership approach with all our customers to ensure we have an intimate understanding of your business and tailor our services to provide the optimum solution to your transportation needs.